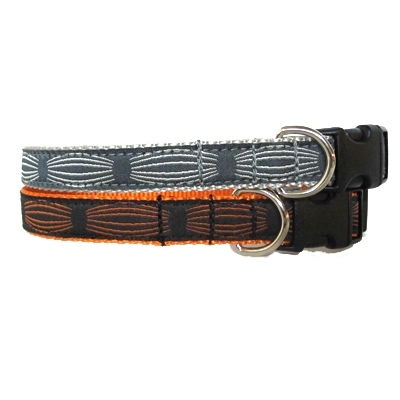 Our Bombay stripe collar is available in 3/4in width. Matching lead is available in 4ft, 5ft and 6ft lengths. 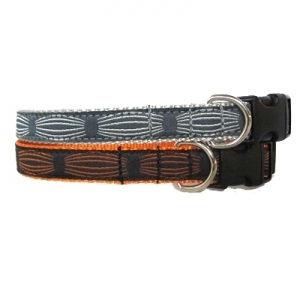 Harness, martingales and martingale combos available in XS, Small, Medium and Large. Durable nylon or eco-friendly hemp webbing available.